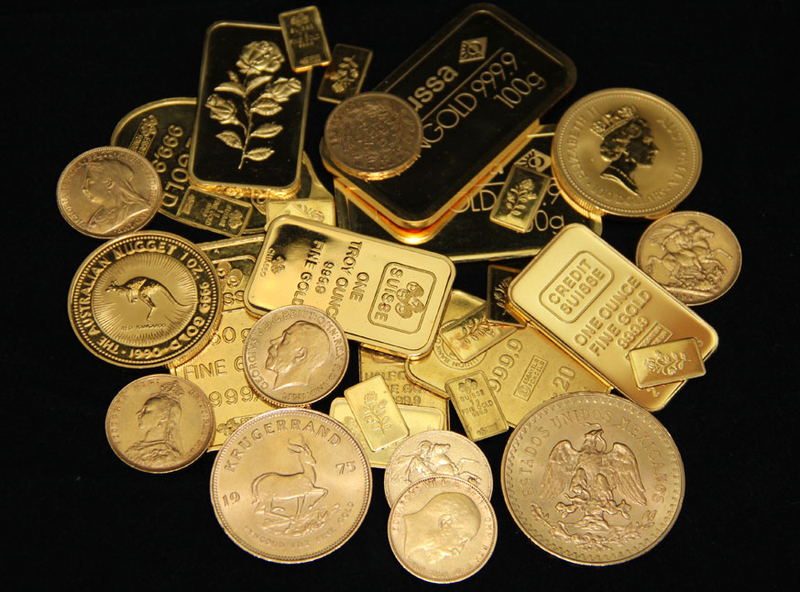 People often ask what the difference is between buying gold coins and buying gold bars, or bullion as it is known in the industry. There are a number of differences and reasons why investors buy one over the other. Whether you are starting out as a gold investor, or whether you are a seasoned investor, our main piece of advice is always: do your research first. We must preface this editorial with the fact that we are not giving financial advice here, we are purely giving advice on which type of gold product to buy to suit your needs. Gold bars or bullion come in a variety of sizes and weights from 1 gram all the way up to 1 Kilogram. There are larger bars than 1 Kilogram, but these are generally only traded between banks and governments. The most common size for starter investors would be 1 ounce bars – there are 31.1 grams in 1 Troy ounce of gold. Bullion is always 24 carat gold 999.9 (Four-nines) purity. One should always only buy bars from LBMA (London Bullion Market Association) approved refineries. If you are looking to buy gold purely for investment purposes we would always recommend buying bullion. 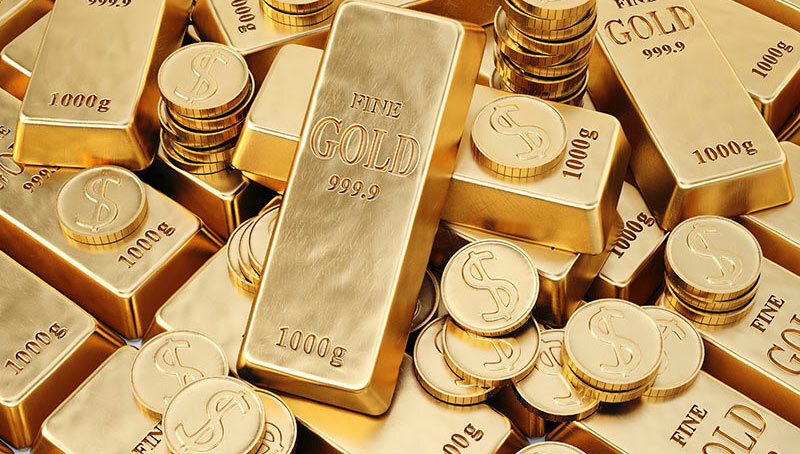 Some reasons for this are as follows; not only is the gold bar attractive in terms of appearance but the premiums are lower on bars when compared to coins as the production costs are lower. This lower premium also applies to the different sizes of the bars, as a one kilo gold bar will include a lower manufacturing cost than 10 x 100 gram gold bars. In this example, purchasing a 1 kilo bar opposed to 10 x 100g would save about 1%-1.5% in monetary terms. Although the size of the bar you decide on will have an influence on the price you will pay, you should also take into consideration how flexible you want to be in terms of realising your assets. Smaller bars such as 1 ounce, 50g or 100g can be beneficial when re-selling gold bars, such as releasing some of your investment or part-selling. Additionally when buying/selling one big amount of gold, you will face larger exposure to market risk as you will typically be trading on one gold price. When purchasing smaller bars such as the 1ounce gold bar, you will again face the higher premiums as packaging, serial and matching certificates will need to be produced. There are many different types of coins to choose from. This gives you greater choice in sizes, carats and designs. Coins are also very flexible in terms of re-selling, as smaller units of gold are easy to release when in need of quick access to cash. Another benefit with certain coins such as Britannias and Sovereigns are that they are CGT (Capital Gains Tax) free. Selling coins also give you more flexibility as you do not have to sell everything at once, which gives you lower market risk as you are not selling on one gold price. Certain coins such as the Gold Sovereign also hold collectible value and over time these coins may accrue numismatic value which can increase your original investment. There are many other coins including the Krugerrand, which is one of the most widely traded coins in the world, that tend to attract a smaller premium when buying. The downside to buying coins are that there is a ’minting charge’ on coins so they will generally cost more than bullion weight-to-weight. The difference is not a lot on small quantities but it will start to add up the more you buy. For instance; if you buy 3 X 1oz Gold Maple coins they will cost you approx.. €20 per coin more than buying 3 X 1oz bullion bars – think about that: both purchases are 3oz’s of 24 carat gold yet the coins are costing you in total €60 more…purely because they are coins. If you go to sell or scrap the coins/bars you will get a price on the weight so you will not realise this price difference when you go to sell. Coins also do not come with certificates and not all coins are 24 carat (as many are 22 carat or even less for some coins). This can cause larger difficulty when calculating the worth of the coins. From an investment perspective, coins entitle larger premium when compared to larger bars which means that you will get less gold for what you pay. Investing in 32 x 1oz gold coins opposed to 1 x 1kg gold bar creates an obstacle if one wants to store the entire investment in one location (eg. safe deposit box). Our advice on which gold product can be summed up by asking yourself: are you buying purely for investment reasons? Or are you buying to have a nice collection of gold to look at and keep or give as gifts? If your reason is the latter – buy coins. If the former – buy bars/bullion. For any further questions regarding buying bullion bars and bullion coins, or to get an instant price on a gold purchase contact our trading desk on: 0115 857 2639. The spot cost of gold is the most well known standard used to gauge the going rate for a single troy ounce of gold. The cost is driven by theory in the business sectors, coin values, current occasions and numerous different components including the stability of world economic markets. Gold spot cost is utilised as the premise for most bullion merchants to focus the precise cost to charge for a particular coin or bar. These costs are computed in troy ounces and change each couple of seconds during business hours.